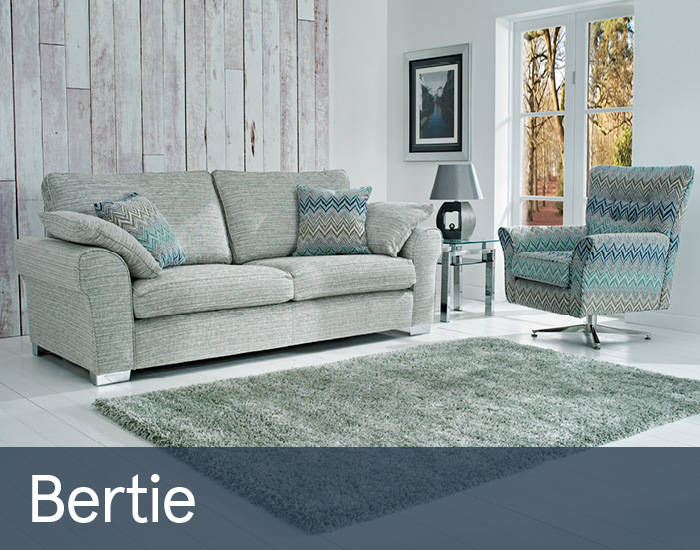 Bertie is a stylish collection of contemporary fabric sofas and chairs that will make a stunning addition to any modern living space. Simple, straight arm detailing is softened by the addition of luxurious feather-filled arm pillows. Fabulous selections of bold fabrics allow you to make a real designer statement with Bertie’s complimentary scatters and its iconic swivel chair.